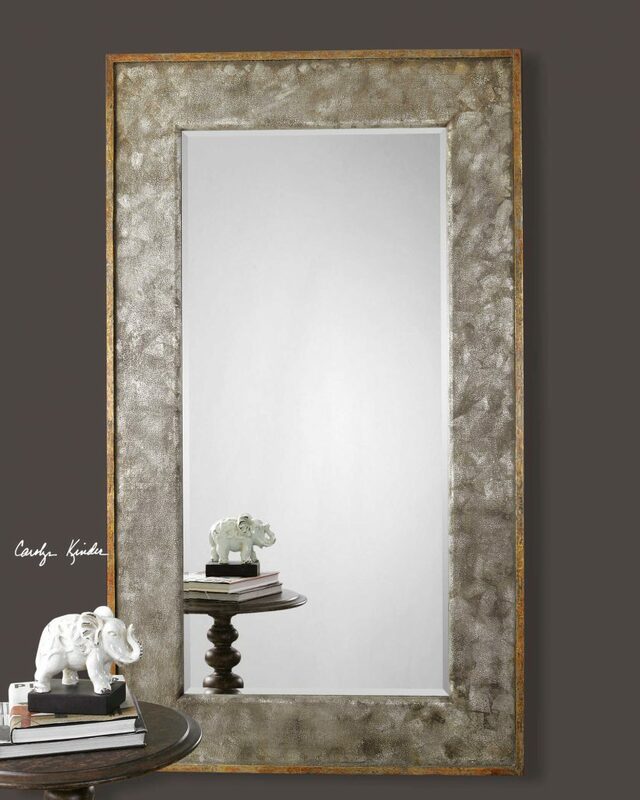 Designed by Carolyn Kinder International, the Leron Distressed Bronze Mirror features a textured frame finished in distressed dark bronze with silver highlights and a heavily antiqued, gold leaf outer edge. This stately mirror has a generous 1 1/4″ bevel. May be hung horizontal or vertical. Available to trade professionals at Uttermost.com. For retail purchase Google keyword “Carolyn Kinder Leron Distressed Bronze Mirror”.